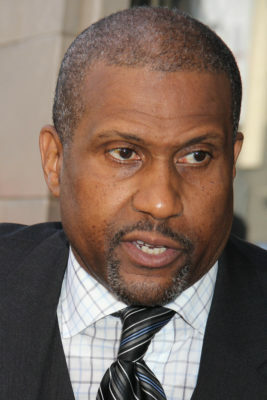 Tavis Smiley is no longer. Deadline reports PBS has cancelled the talk show because of recent sexual misconduct allegations against its titular host. The long-running late-night talk show began in 2004 and has featured interviews with notable entertainers, athletes, politicians, and authors, including Allison Janney, Laurie Metcalf, filmmaker Dee Rees, and Smokey Robinson. After investigation several accusations of sexual misconduct against Smiley, PBS has suspended distribution of Tavis Smiley indefinitely. In response, Smiley called the network’s investigation “sloppy” and vows to “fight back” the cancellation. What do you think? Do you watch the Tavis Smiley show? Do you think it should remain cancelled? More about: PBS TV shows: canceled or renewed?, Tavis Smiley, Tavis Smiley: canceled or renewed? I KNEW he was a little too SMILEY! He was bad. Didn’t he get in a spat before, several years ago, about his show not being aired. PBS was more or less forced to give in to his discrimination claims if I remember right. This is outrageous. The term witch hunt comes to mind. I do not believe that the allegations are true. I am losing faith in the PBS franchise and with money tight this year will consider removing my monthly support immediately. PBS please reconsider.